NOW FREE! 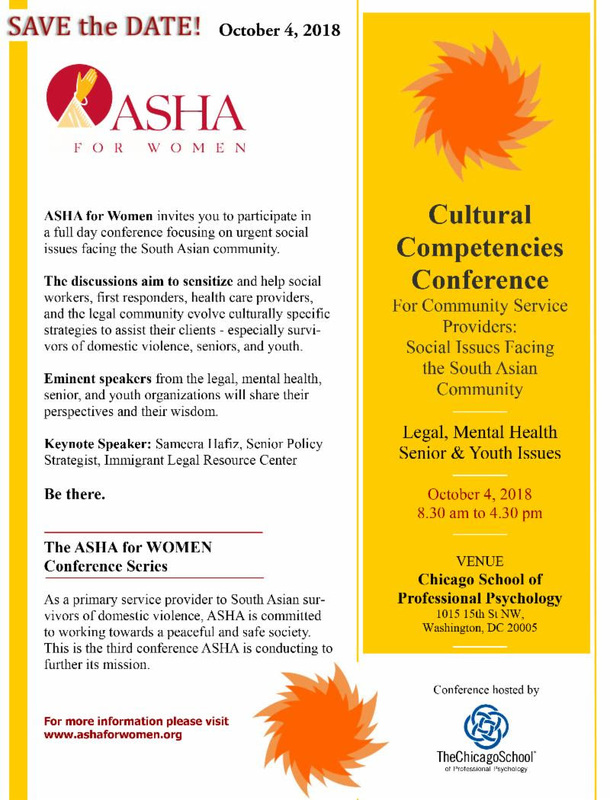 ASHA for Women Cultural Competencies Conference: Registration now OPEN. for the Cultural Competencies Conference!! If you have not registered yet please do so soon as space is limited. Click on the link below to register.